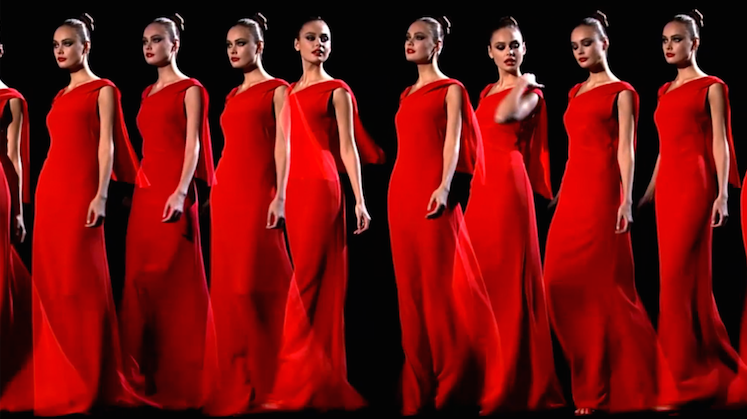 Needless to say, the focus was on the clothes at Mr. Valentino's final show—the Spring 2008 Haute Couture extravaganza concluding with a defilé of models dressed in identical draped gowns of signature Valentino red. But the extravagant looks on the catwalk were set off by the makeup on the models' faces—perfect flicks of cat-eye liner accentuated by iridescent shadow and a kiss of pink on the lips. The woman responsible for that face painting? 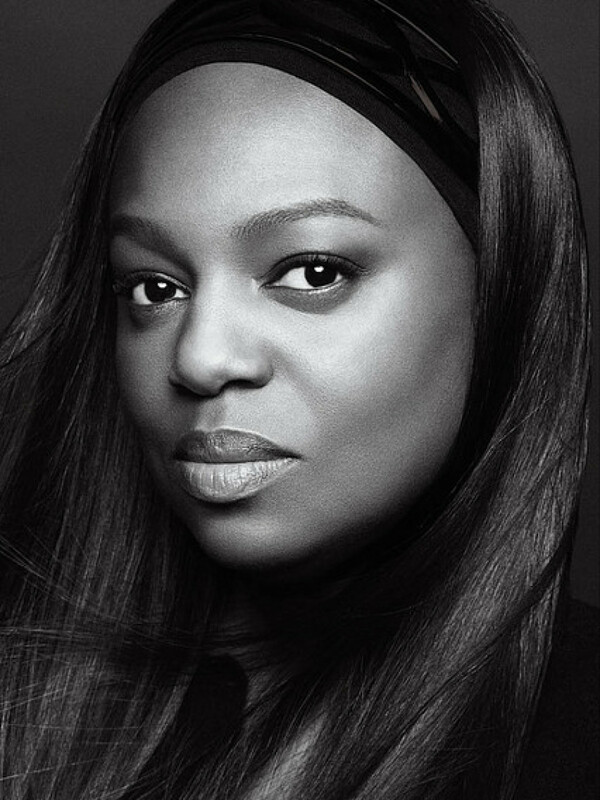 Pat McGrath, a fashion industry legend getting her due this month, as she receives the coveted Founder's Award at the CFDA gala in New York. It's not her first big honor. The self-trained McGrath, hailed by Vogue as "the most influential makeup artist in the world," was awarded an MBE by Queen Elizabeth II in 2014. That's quite a plaudit for a woman raised by her Jamaican immigrant mother in Northampton, England, who worked her way up to the tippety-top of the fashion ladder after getting her start in the clubby London scene of the late 1980s. Inspired by the Blitz Kids and New Romantics, her theatrical approach caught the attention of editors at influential indie publications The Face and i-D, where she remained, until recently, the title's Beauty Director. At i-D, McGrath found a kindred spirit in young fashion editor Edward Enninful, another child of immigrants eager to shake fashion's foundations. Enninful, who was appointed the new editor-in-chief of British Vogue earlier this, has been one of McGrath's great friends and long-term collaborators. So too Steven Meisel, with whom McGrath has worked on numerous iconic shoots—notably, his daring portfolios for Vogue Italia. In the meantime, between runway shows and editorial assignments, McGrath has managed to find time, over the past two decades, to work with celebrities such as Madonna, Oprah Winfrey, Nicole Kidman and Katy Perry, and oversee the launch of no fewer than four cosmetics brands. Her latest launch, in October 2015, was her eponymous makeup line, which focuses on innovative products released in limited editions. Pretty much every product she brings to market sells out. Though McGrath is best known for her experimental work, Mr. Valentino can attest to her mastery of understatement. At that final couture show of his, for instance, McGrath created a soft, feminine look—with just a hint of the outré touch she's famous for, and no more. That was just right for the collection, and McGrath's in-demand status is in part due to her ability to translate, into makeup, the mood of a designer's clothes. She's a true collaborator, bringing her genius and her instincts to bear wherever she goes. And she continues to be a great friend to Valentino, where she continues to work with creative director Pierpaolo Piccioli. As she picks up her well-earned CFDA award, the entire maison sends her congrats. Natalia Vodianova, with beauty look by Pat McGrath. Valentino Garavani with Natalia Vodianova, 2008. Valentino's last couture show, 2008.